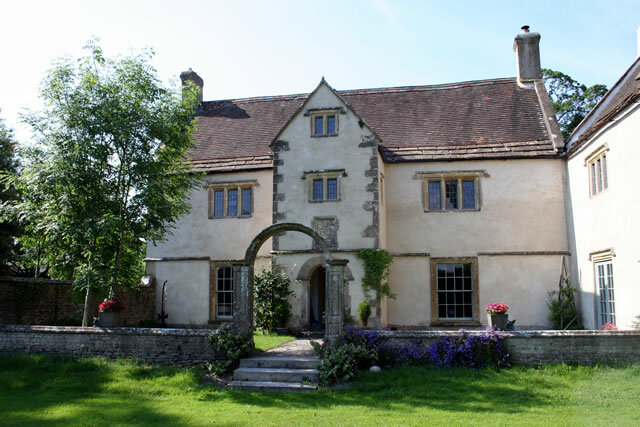 On Sunday 15th September local people are invited to "peak behind the walls" of Balsam House in Wincanton, in an unusual fundraising event which will support St Margaret's Hospice. The 17th century house was derelict and the subject of considerable vandalism when the current owners, Jayne and Angus Hart, bought it four years ago. Since then they have worked tirelessly to restore both the house and garden, capitalizing on their tremendous talents and energy and demonstrating their passion to restore and conserve a fine building, which is an integral part of our local heritage. The house was built in the 17th century and the earliest records of occupancy date to 1688 when it was the home of Abraham Gapper, a Sergeant at Law. A coat of arms of the Pelly family alludes to another layer of history and apparently shows the family's connections with the East India Trading Company. The highly regarded Wincanton architect Nathaniel Ireson did considerable work remodelling the interior of the building. Ireson is known for his work locally at Stourhead, Crowcombe Court ,Venn House in Milborne Port, the churches of St Peter and Paul in Wincanton and St Mary the Virgin, Bruton. At Balsam House, the terrace wall and other garden features have been identified as original Ireson construction and as such represent the only surviving example of his work at the house. The house and garden will be open from 10.45am until 5.00pm, with the first tour commencing at 11.00am and continuing every half an hour throughout the day. There will be a chance to enjoy home-made refreshments whilst you wait. Wandering in the gardens you will find Moor Plants of Ashcott, selling their high quality plants and local lady, Jean Whitlock will have her handicrafts on sale as well. Tickets are £5.00 and to book phone the St Margaret's shop in Wincanton 01963 34597 or call in at the shop to book a time. For anyone with an interest in history this will be a wonderful way to spend a few hours. It is also an opportunity to marvel at the determination and talents of the owners, who have generously offered to support the work of St Margaret's hospice in this unusual way.